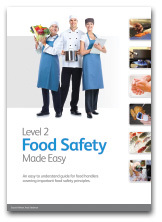 The QA Level 2 Award in Food Safety in Catering (RQF) is a regulated and nationally recognised qualification designed for those working, or planning to work, in the food catering industry. It is also ideal for those who come into contact with food handling areas due to the nature of their work, such as pest control officers and delivery personnel. During this 1 day course, Learners will build an understanding on the importance of safe food handling practices and keeping foods safe. Topics covered include: food safety laws, types of contamination and the associated risks, bacteriology, personal hygiene, safe food handling practices and more. For a more detailed overview of the topics covered, please download the Qualification Specification. 1 x Theory assessment (Multiple Choice Question Paper) and continuous formative assessment conducted throughout the course. Free Lesson Plan, PowerPoint Presentation, Assessment Guide and Multiple Choice Question Papers. 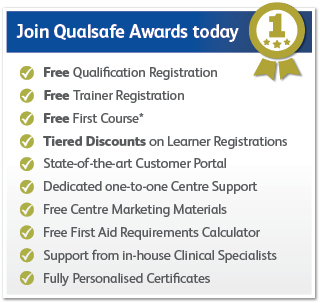 Successful Learners will receive a QA Level 2 Award in Food Safety in Catering (RQF) certificate personalised with their Centre’s details.